I happened on this gentleman when I came across his article, Designing Characters Using Mind Maps at SellingBooks.com. I very much liked the graphic organizer he used, commented on it and invited him to be a guest. So today, as part of Wednesday’s craft and/or author days, I present to you young adult author Christopher Wills, writing as C. R. Wills. I wrote my first book, Call me Aphrodite, about a teenager who ran away from home and ends up in London having lost her memory. It has some uncomfortable scenes in it so although I say it’s YA it’s more A than Y. I used to be a teacher of 13 – 19 year olds in a good Roman Catholic school and I got the story from seeing a pupil disappear. I asked her friends where she was and was told she’s run away to London. l ended up reading a report on the Barnardo’s website (a British charity that looks after children who have had a tough time). The report was about child prostitution in London and my story was born. It was a story I felt I had to write. I designed the cover myself because I wanted to do it all myself, probably more ego than sense… I’m going to get a professional to design my next cover. My current book is much lighter, it’s a YA ghost story (Okay, it’s my Harry Potter genre attempt). It’s definitely Y and not so much A. I wrote it during 2009’s National Novel Writer’s Month (a.k.a., NaNoWriMo, which runs every November) in and I’m now editing it. I love NaNoWriMo. I give you so much credit for NaNoWriMo, Chris. Never had the discipline to take that on. And you go on to prove that time very well spent, as all of the books you mention in this article appear to be products of NaNoWriMo. Tell us about other aspects of your life. I have been a soldier in the ranks, a sailor as an officer and a teacher of Physics and Math. I have three degrees, A BS in Electronics, an MBA and an MA in Creative and Critical Writing. 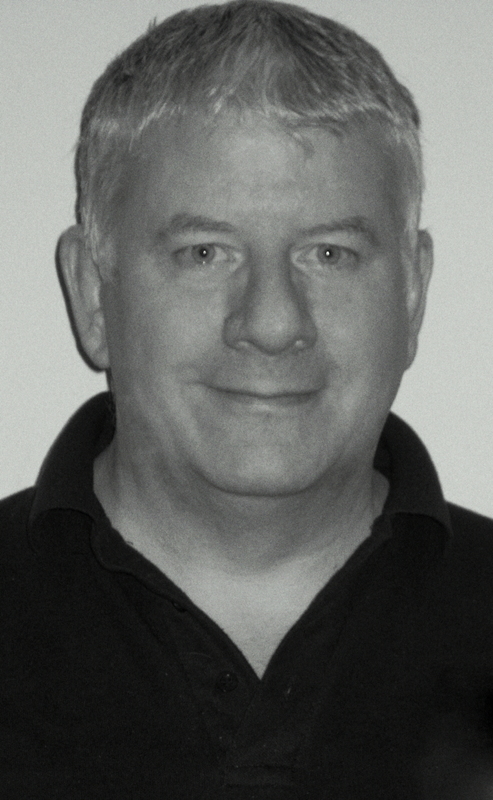 Currently I work for air traffic control in the UK as a technical author. I have just started my three year plan to become a full time fiction author. The ebook revolution may (hopefully) speed things up. I am a positive person myself and I love the positivity I get from your blog. No negative karma there. I am happy to be left alone, so I love the solitude of writing and being in the world I have created. (I can so relate; must be a writer-thing.) It’s as good as reading. Also I love problem solving because when I write I create problems for myself that I need to solve. Sometimes it would be easier to ignore the problem and write around it, but I can’t do that. A good example is in the book I am writing at the moment. It’s a paranormal about a 15-year-old girl who becomes a ghost after a road accident. It’s an adventure about her looking for her dad who passed away when she was young. She believes he will also be a ghost so she sets off to find him. Unfortunately one of my previous incarnations was as a Physics teacher and I am used to asking and answering silly questions. Of course I had to start asking myself questions like, “How can a ghost walk through a wall but not fall through the floor?” (Great question!) And, “If a ghost is invisible how come her clothes are invisible too?” (Why would a ghost wear clothes, lol?) When I was a teacher these are exactly the kind of questions I was faced with every day, not that ghost studies was on the curriculum. This was the part of teaching I loved: taking knowledge the pupil has and accepts, and using it to get them to understand something they don’t understand. Nothing. I am currently a technical author so I write engineering manuals all day and I enjoy that. If pushed I would say I get frustrated when I see a piece of writing that I think I could improve but the author thinks otherwise. I run a creative writing group and I often get to read and constructively advise others. The need to justify to myself that I am a writer. I have friends who paint and knit and take photographs in their spare time and they all have output to show as a result of their efforts. I want to have a shelf full of books and be able to say, ‘I wrote them’. Please tell our readers how you juggle work, time to write and all that goes along with it (i.e., promo, etc). Although I have been writing for years it has been haphazard, and only this year have I started to treat it more formally in a business sense. I completed nanowrimo in 2003, 2008 and 2009. 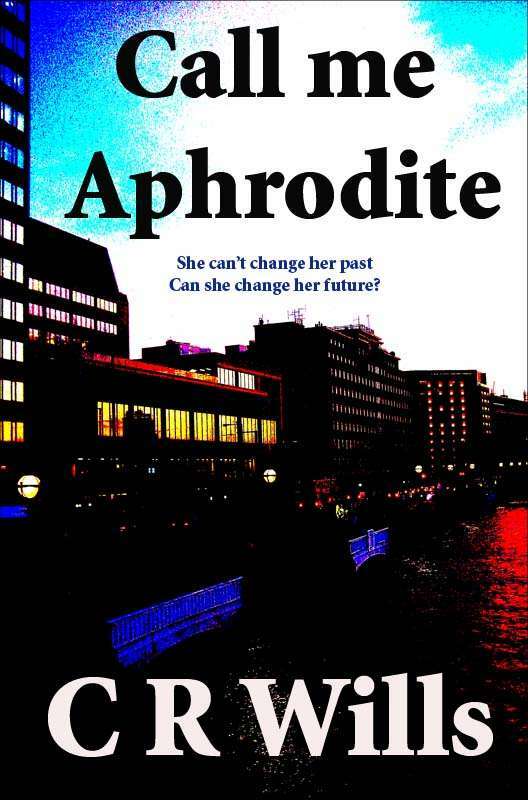 My recently self-published novel, ‘Call me Aphrodite’ was my 2003 NaNoWriMo project. The ghost novel I am currently working on is my 2009 NaNoWriMo. I plan to do it every year because it gives me 50,000+ words of editable text, which for me is about 2/3 of a novel. This is my weak point. Everyone says one must blog and tweet, which I do, but I wonder how many book readers buy books on the strength of blogs and tweets. I have a feeling it’s a bit like selling lemonade from a table outside your house; it’s not exactly Walmart or Barnes and Noble. I am currently learning about tagging which I think can help. Call me Aphrodite is available here. Here’s a blurb (very intriguing!) Aged 13 and alone in London, Aphrodite has lost her memory. She desperately wants to know who she is, but the more she learns, the more she becomes afraid to learn. Call me Aphrodite is the story of a 13 year old girl, dragged from the river Thames by Leon a young boy who lives with his prostitute sister. She calls herself Aphrodite because she can’t even remember her own name. What dark secrets are behind the locked doors inside her head? What is her mind trying to protect her from? As she struggles to forge a new life for herself, she is forced into the dangerous world of under-aged prostitution by a collection of twisted characters that both terrify and fascinate her. Then one traumatic night a shocking event smashes through the barriers in her mind, and the real horror of what she has gone through in her past is revealed to her. Aphrodite has paid a terrible price to regain her memory. What can she do next? She can’t change her past. Can she change her future? To read more, click here. Thanks so much, Chris, for stopping by and giving us the opportunity to know you as well as sharing some of the knowledge you’ve gained on your writing journey to date. See you next Wednesday! And thanks to all of you who stopped in today. Don’t forget to drop by on Friday. I’ve got a special post lined up in honor of my wedding anniversary. See you then! This was a great interview! Someone told me there is an app for the IPad on mind mapping that I will look into. Great job Joanna, thanks for bringing this. You’re very welcome, Jeffrey. Thanks for visiting! This was really fascinating… both his background as a Physics/Math teacher and engineering link… I work for an engineering school so it is right up my alley. I’ve also been attempting to teach mindmaps to the students so he has a great example of how to use them. THANKS! P.S. I loved the Physics of ghosts. HA HA. Loved the ghost-physics, too, Crystal. Thanks so much for stopping in! Joanna thanks very much for giving me space on your blog and for the time you have given me; I appreciate it. I hope all your readers appreciate you too. You are so welcome, Chris; thrilled to have you here. Sounds like the regulars here are liking your visit every bit as much. 🙂 Thanks so much for your very kind words–I always feel blessed by my readers. They are the best and make me want to keep at this whole blogging thing. Hate when life gets in the way of regular posting. Thanks Joy. I have had a problem with my comments page; back to the drawing board. The trick to mind mapping is to be bold and have a go at drawing images to represent things; it’s not supposed to be art. Thanks, Joy, for stopping in! I see your ‘trouble bubbles’ as a graphic organizer not unlike Chris’ mind-mapping diagrams–tried it re: one issue I’m dealing with lately. I really liked the way solutions can ‘take off’ as you go from idea to idea and am looking forward to implementing the character maps to generate story ideas. Hi Joanna and Chris! Great interview as always, upbeat and uplifting. Chris, I enjoy your ethereal approach to story and character discovery. I’m going to give the doodling a go! I can also relate to using former students as inspiration for story telling. They stay with us on a deep level. I’m a former school social worker who writes former students into my stories. Wishing you great success and fulfillment on your writing career! Joanna, as always, you rock! Vikki, as always you make my day–thanks so much! I’m so glad Chris agreed to do the interview–great stuff here and an approach I need to explore myself (though I do tend to get overwhelmed with graphic organizers that have more than four spokes/branches, lol. I loved the doodling idea too, and never thought of it in terms of ‘drawing.’ It all goes back to perspective, doesn’t it? Thanks Vikki, as a poet and a photographer you obviously have the creative mind so you should have no problem with producing mind maps. Good luck. Again, I thank all of you for your virtual visits–I love company! Just a reminder, Chris is scheduled back a week from today to discuss and demystify ‘tagging’ (for me, anyway).